When Americans think of pedophiles, they may think of an adult stalking and assaulting a child in an isolated case. But a form of pedophilia of that is often ignored—even though it affects hundreds of thousands of children—was considered “legal” in every state in the United States up until this week. Delaware became the first state in the country to officially ban child marriage by signing House Bill 337 into law, which prohibits marriage of individuals under 18 years of age. The law closes loopholes allowing children to enter into legal marriages with parental consent, or because they are pregnant. It also gives the court authority to annul marriages where one of the individuals involved was under the age of 18 at the time. An investigation from Frontline revealed disturbing statistics, which showed that between 2000 and 2015, at least 207,459 minors were married in the United States. While a percentage of those cases were 16- and 17-year-olds, an alarming number of states allowed children as young as 10 and 12 years old to marry, and in nearly 90 percent of the cases, young girls married adult men. 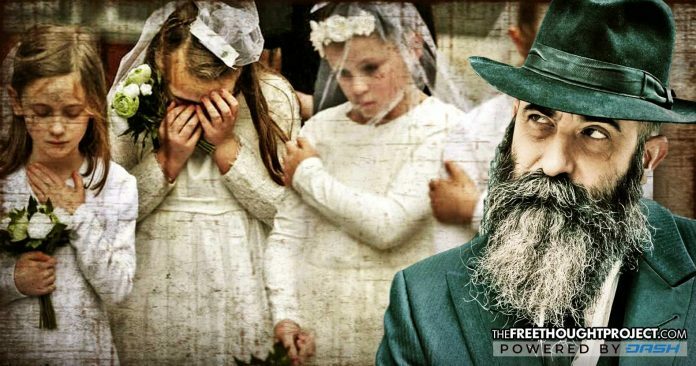 The investigation found that the youngest children to marry were three 10-year-old girls in Tennessee in 2001, who were married to men ages 24, 25 and 31. A 74-year-old man in Alabama holds the record as being one of the oldest to marry a child, and his bride was just 14 years old. “Children as young as 12 were granted marriage licenses in Alaska, Louisiana, South Carolina, and Tennessee. Thirteen-year-olds were given the green light to marry in Alabama, Florida, Idaho, Kentucky, Louisiana, Mississippi, Missouri, New Hampshire, New Jersey, New Mexico, South Carolina, Tennessee, Texas, and Washington. As Delaware makes the move to ban child marriage, many survivors of forced marriages—who have endured years of abuse at the hands of their older spouses—hope the rest of the country will follow suit.